Many birth workers in New Jersey are working toward Improving Birth Outcomes in our state. Overall, this effort has not been well-coordinated so we are all off in our part of the state making small improvements. Imagine what could happen if we ALL worked together toward the betterment of the citizens of New Jersey! 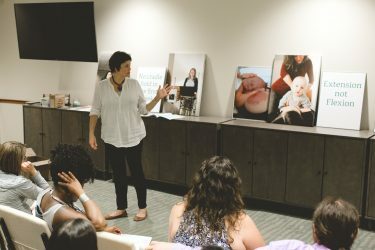 In 2017, ImprovingBirth merged with the consumer group BirthNetwork National and the Coalition for Improved Maternity Services (CIMS) to become the largest maternal health consumer advocacy organization in the U.S.
National birth worker organizations are linking hands and working together to lower the primary cesarean rate; these include American Congress of Obstetricians and Gynecologists, American College of Nurse-Midwives, Association of Women’s Health, Obstetric and Neonatal Nurses and Joint Commission of Hospitals. Changing the culture of birth in New Jersey is a tremendous task. Up until recently, we have been trying to implement a wide variety of medical interventions to cause better birth outcomes. What we found is that we cannot improve on Mother Nature, a lot of our “help” causes harm. Most women can be safely monitored as they progress in labor without overly interfering in her control and decision-making. The choices that women make for their births are usually geared toward comfort and privacy and coincidentally, both of these help birth go BETTER. The data supports that. The New Jersey Symposium for Physiological Birth:2017 The Evidence for CHOICE examines the CHOICES that women frequently desire when laboring and giving birth and presents the data that demonstrate the safety and value of those choices. Rather than being “nice to have”, we need to start thinking about these choices as being NECESSARY to have a normal, vaginal birth. This Symposium is intended to bring all the stakeholders in New Jersey together for the expressed purpose of modifying the way we have been looking at birth for the past 80 years. We ALL (Midwives, Nurses, Physicians, Doulas, Childbirth Educators, Doula, Professors, Students, Hospital Administrators, Birth Photographers and Parents) have a part to play in the cultural change that we need for Birth in New Jersey. Please join us for this first Symposium. Be part of the Physiologic Birth Movement in New Jersey as we keep the dialogue open through the year until the next Symposium in 2018.